After this revelation, His ministry changed. He no longer mixed the Old Covenant with the New Covenant. When Pastor Prince started out, he had a congregation of about 150 people, today New Creation Church has over 30,000 members! This is a testament to the gospel of grace. There is probably no way to track his, “Top 10” best quotes, so I would just like to share with you some of my favorite quotes from Him. I hope you enjoy! 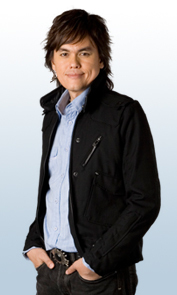 What is your favorite Joseph Prince quote? Prince, Joseph. Unmerited Favor. Lake Mary, FL: Charisma House, 2009. Print. Prince, Joseph. Destined to Reign. Tulsa, OK: Harrison House, 2007. Print. I grew up in an environment where sin was as poisonous as drinking water.I always feel ashamed n condemn when I make a mistake and I even thought God was going to kill me because of what some senior men of God preached about God anger against man.but glory be to Jesus when I bought Joseph Prince book”unmerited favor”.it changed my mentality and attitude complete.thanks be to Jesus I have introduced it to my friends and I can preach about GRACE to others.Hallelujah. So glad to hear that Joseph! Sometimes we can feel so condemned that we need to understand the no condemnation that Christ brings. That is one great book! It is great to share the love that you have received. What an awesome story! Thanks Clement NG! I agree #2 is awesome!